Get immediate help diagnosiing your Bendix King radio, charger, or battery. Sometimes some relatively simple troubleshooting can save you from having to send your Bendix King radio in for repair. In the middle of wildland fire season this could save you very valueable time. If you are experiencing trouble with your BK Radio, take a look at our Bendix King radio troubleshooting guide. Instructions and pricing for getting your Bendix King radio repaired. When you know you need your Bendix King radio repaired by the fastest and most reliable Bendix King repair center in the country, Checkout our Bendix King Repair Process page. Our tiered fixed rate pricing is sure to wow you and nobody beats our expedited turn around time. Get your Bendix King radio repaired fast! Customize the look of your Bendix King radio and stand out from the crowd. Now you can give your radio a makeover with our new PIMP-IT-OUT cosmetic treatment. You can go Stealth in all Black, Yellow & Black with The Stinger,BadAss in Black! We are no longer offering the Green faceplates or backplates for Bendix King Radios. We inspect, clean, and bench test your Bendix King radio. 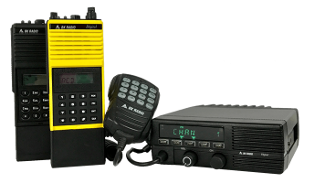 The Certified Repair Center at BendixKingRadios.com will repair your two-way radio by way of our expedited process known as our Pretty Darn Quick (PDQ) Repair and QA Inspection Program, in which all radios receive the TLC treatment. We repair Bendix King DPH5102X, DPH5102X-CMD, GPH5102X-CMD, KNG-P150S, KNG-P15-CMD and many other Bendix King radios. If you need your Bendix King radio repaired fast our PDQ expedited repair option can get your radio repaired in just TWO days!